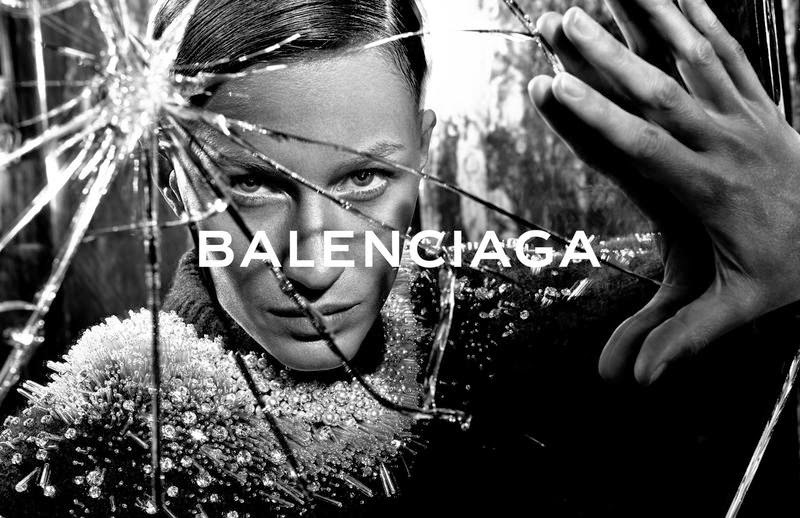 Campaign Note: Balenciaga creative director Alexander Wang taps his favourite model, Gisele Bündchen, for the Balenciaga Fall 2014 advertising campaign. The Brazilian-born supermodel was photographed by Steven Klein, along with a stunt-double whose fabulous haircut was superimposed on Gisele. Click here to see the entire Balenciaga Fall 2014 Collection.